Another shiny launch along with the Galaxy S8 was Samsung’s new Bixby Assistant. It is Samsung’s take on Siri, Alexa, Cortana, and Google Assistant. Maybe it is another step by Samsung to lessen its reliance on Google or its attempt to be in the A-listers who have their personal assistant. Here are seven things that we know about Bixby Assistant. Bixby has a dedicated button below the volume rocker for a quick start. As soon as you launch Bixby, you can give it a command. Or you can also use the word ‘Bixby’ to wake up the assistant. You can access Bixby Home just with a right swipe from the home screen. The home screen is full of useful information such as smart reminder, news, weather, and more. You can also put third-party app card on the screen, such as Uber and Facebook. Similar to Google Assistant, Bixby responds quickly to voice commands. Bixby can do tasks such as adjusting brightness of your phone by percentage, all you have to say is “Set screen brightness to 60 percent” or you can summon it to perform other tasks such as show photos taken at a particular location, you can say “Show photos that I clicked in New York”. Samsung believes that Bixby can do every task that you do by touch. For now, Bixby can only communicate with Samsung apps. Samsung has not yet listed the apps that it work with but we can assume that the number is small. However, Samsung did promise that it will be updating the assistant and would add enhance app compatibility soon. Even during the event Samsung showed how Bixby can click an image and send it in a text message. Interestingly, Bixby will work with Google Play Music, which means that you can ask Bixby to play your favorite track just by voice command. Bixby Vision works with Galaxy S8’s camera pretty well and can perform tasks such as Product search, Wine search, Identifying places and landmarks, Translating text, Find similar images, and QR code and barcode reading. 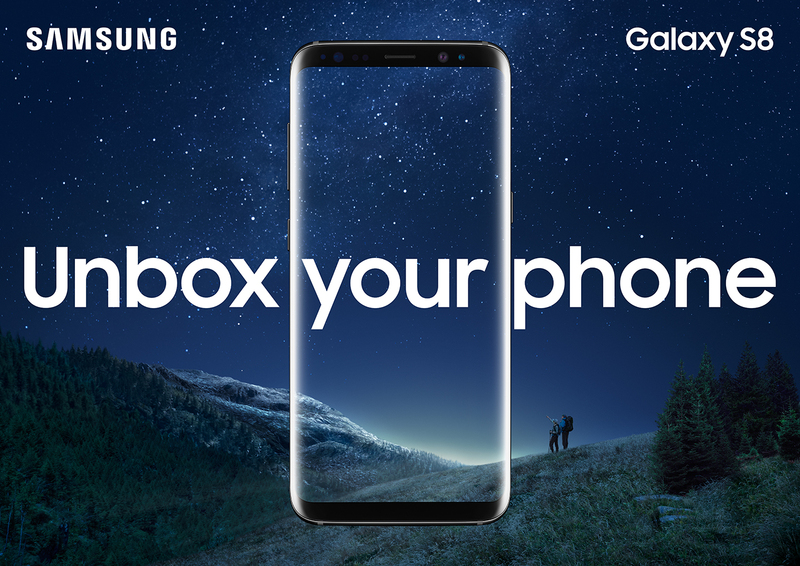 To perform these tasks, all you have to do is hold your Galaxy S8 against the object and allow Bixby to scan it and then tap on the button at the botton of the screen. Unlike Siri, you cannot ask Bixby questions like “how old is Madonna” or other similar questions. Samsung launched it in alliance with Galaxy S8, but it will update it and make it smarter, hopefully. Well, these are the handful of things that we know about Bixby assistant. Stay tuned with us for more information. What’s your opinion on Bixby? Share in the comment section below.